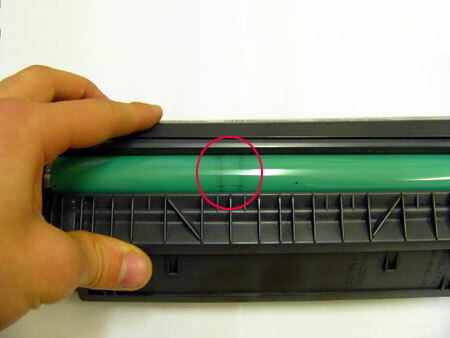 This time we shall consider toner cartridge defects, their aftermath and ways to fix them. Previously we found that cartridge consists of several part. Despite the small amount of parts, there are enough factors affecting quality of printing. OPC is also known as photo drum, drum, photoreceptor or photoconductor. On its surface a toner image to be transferred to paper is created. This dictates peculiarities of its functioning. 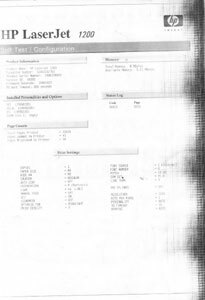 Problem with photo drum of cartridge for Hewlett-Packard LaserJet 1200 printer. Most common defect is black patterns appearing on the print’s edges. This means the photoreceptor is critically worn out. Photo sensitive coating is rubbed off, and toner first adheres to “naked” drum and then gets transferred to paper. This is how the worn-out looks like on the photoreceptor. 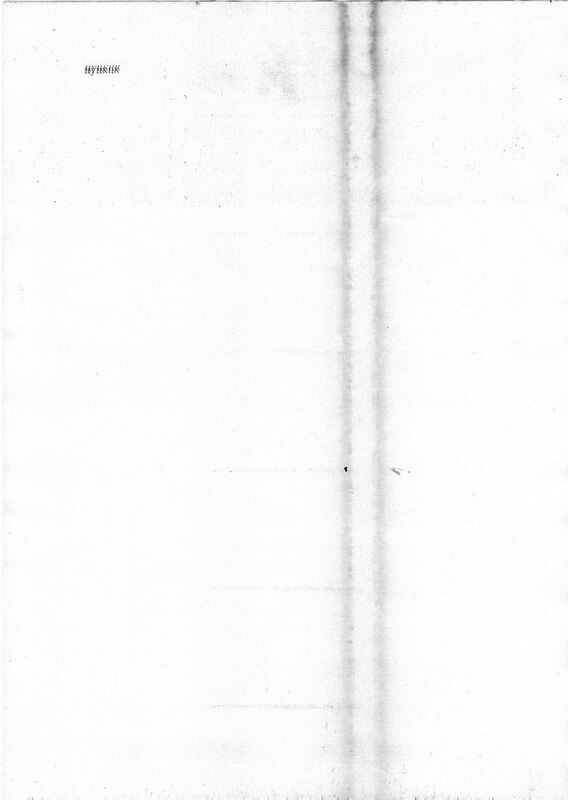 Factually, this is a physical process of drum coating rubbing against paper and toner. Unfortunately, the problem can only be solved by replacing the drum. All known efforts to restore photosensitive coating show little or no results, when it comes to equipment testing. However, in a year or so the technology advances and a photoreceptor can be restored even at home. Faulty parts are not always the reason of bad prints or photocopies. 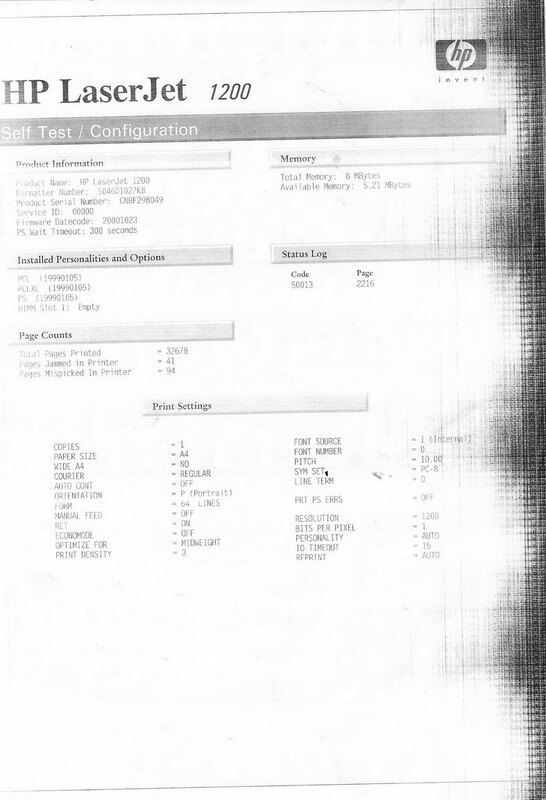 Dirt, dust and toner coarse grinding may also cause black marks on freshly churned pages. This issue gets fixed simply by reassembling the cartridge. Most easy and faster way is to complete replace the cartridge. 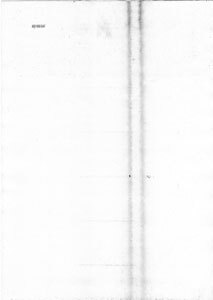 The second component of the printing system is PCR. This is a spongy roller that applies initial charge and removed residual charge from the drum. 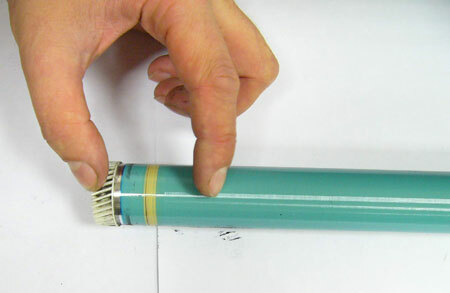 The roller is actually a metal rod in a rubber coat. Troubles it can “reward” the prints will always be noticable. Charge rollers cannot be repaired, only replaced with a new. Joins us next time to learn other cartridge defects and ways to fix them. This entry was posted on Friday, December 14th, 2007 at 5:30 am	and is filed under cartridges, printing, toner, troubleshooting. "Panasonic KX-MB271 and KX-MB781: New Cheap Multifucntions"